We are manufacturing a quality proven range of socket weld fittings. 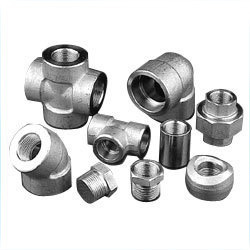 Known for their superior functioning and ability to withstand high pressure, these fittings are widely used in chemical and pharmaceutical industries. These fittings are subject top customization as per the specifications laid down by our clients.